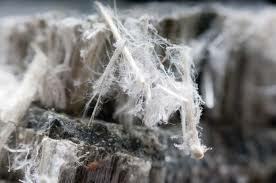 Over a century ago, the naturally occurring fibrous substance asbestos became popular in many industries because of its durability, fire resistance, and effectiveness in insulating properties. In recent years however, asbestos has been linked to often life threatening illnesses in many who have been exposed to it, including asbestos cancer. How serious is the problem? Since the mid 1980s the use of asbestos has been banned in several countries. Malignant mesothelioma, the most common of these cancers, is directly related to exposure, and if you’ve been diagnosed with such a tumor the asbestos attorneys at Nadrich and Cohen, LLC remind you to protect your rights by filing an asbestos lawsuit. Few California personal injury attorneys have the experience in pleural and peritoneal mesothelioma cases of the professionals at Nadrich and Cohen. We’ve settled several cases for millions of dollars for those unsuspecting victims whose symptoms and ultimate illnesses developed unchecked and entirely under the radar. Mesothelioma is a benign or malignant tumor affecting the lining of the chest (including the lungs and heart) or abdomen. The most common form, pleural mesothelioma, involves malignant tumors that form on the pleura, the sac that lines the chest cavity and protects the lungs. Peritoneal mesothelioma affects the peritoneum (abdominal cavity lining) as well as the pericardium (the lining around the heart). The health effects of asbestos can literally take years to come to the fore, meaning those who have lived or worked in close proximity to asbestos for long periods of time have largely lived blissfully unaware of the hazards they were being exposed to. There have been countless cases in which employers knowingly failed to employ a safe and secure work environment for their employees, as well as cases in which patients suffering from asbestos related illnesses have been misdiagnosed. In these circumstances and others the partners and staff of Nadrich and Cohen have worked as advocates for the victims of asbestos exposure in securing the compensation they rightfully deserve. Our experience in prior cases involving illness due to chemical exposure, including mesothelioma, has netted our clients over $750 million. And while a monetary settlement won’t make the effects of your illness go away, it will make caring for your illness and for your financial responsibilities easier as you convalesce while setting you up for a fresh start moving forward. Most of all, it will serve as a reminder that all of us deserve to live and work in safe havens and under healthy circumstances.